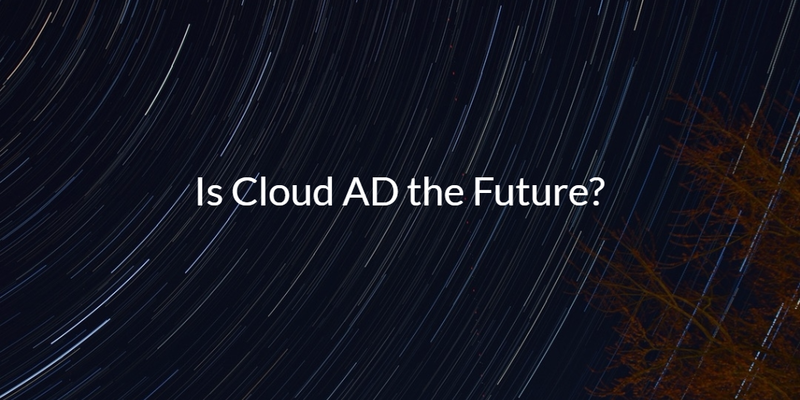 Is Cloud AD the Future? Home » Blog » Is Cloud AD the Future? Is a cloud Active Directory® (AD) the future? 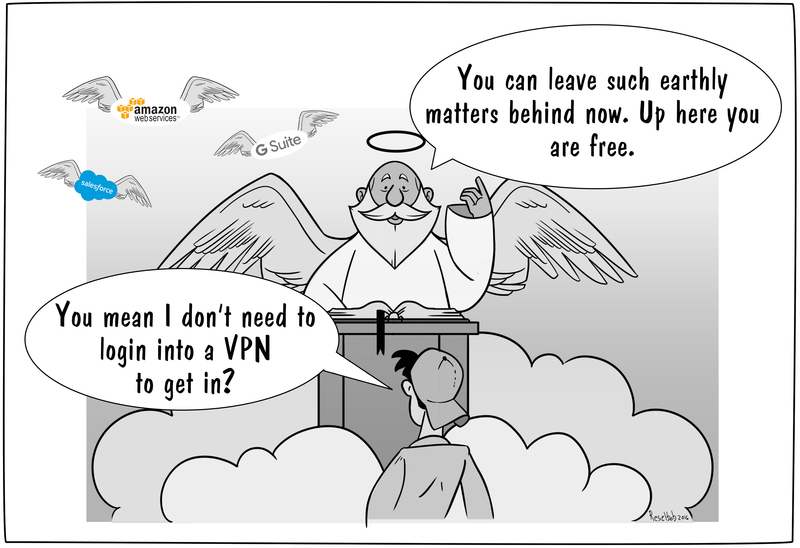 With just about everything moving to the cloud and the pain of dealing with on-prem servers, why wouldn’t a cloud AD make sense? Interestingly, Microsoft has already tried to take this step, with a product that is essentially an attempt to be a cloud AD (Azure). Well, at least, IT admins thought it was going to be a cloud-based Active Directory, but the reality is not so simple. This has cast the future of Active Directory into doubt. A thread and comment from Microsoft representatives debunked the myth that Azure was equivalent to Cloud AD. 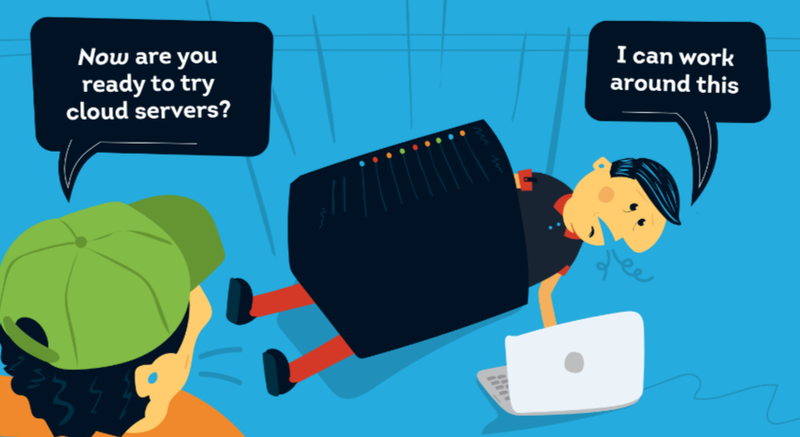 Azure Active Directory® isn’t the future of AD. Knowing that, the question becomes “Is there a separate cloud AD in the cards for Microsoft?” Microsoft has given no indication that this is part of their roadmap. In lieu of a fully-fledged cloud iteration of AD from Microsoft, MSPs are employing something of a “stop-gap” solution for clients who need a directory but don’t want to deal with maintaining it themselves. Many MSPs and service providers are offering a hosted Active Directory, or a virtual version of an AD. Essentially, the MSP will take on the heavy lifting of doing the server procurement, management, updates, security and backups, leaving the IT organization to be able to focus on using Active Directory rather than manage it. Simply shifting AD to the cloud is not enough. If you have a mixed platform environment, it’s time to start thinking about getting a replacement or alternative to Active Directory. A new generation of cloud identity management solutions have emerged, and they are ready to be a replacement to Active Directory. The market leader is Directory-as-a-Service®, and this virtual directory services platform is not only hosted in the cloud, but also functions with today’s mixed platform environments. This modern IDaaS solution securely manages and connects user identities to the IT resources they need, including systems (Windows, Mac, Linux), cloud and on-prem servers, web and on-prem applications, and wired and wireless networks. The cloud directory is truly agnostic to provider, platform, protocol, and location, ensuring that you get to decide what your infrastructure looks like. With JumpCloud’s Directory-as-a-Service, IT admins can embrace modern cloud technology and infrastructure, while securely managing identity and access control throughout the IT network. If you would like to learn more about whether cloud AD is the future of identity management, drop us a note. Additionally, feel free to check out JumpCloud’s Directory-as-a-Service and see if it is the alternative to cloud Active Directory you’ve been searching for. Your first 10 users are free forever.